Blog Aging has now been cured - and it only took one week! I explained that we have a way to maintain cells with telomerase activation, next, we found a way to accelerate death of damaged cells. Finally, we have mice experiments showing that replenishing the creator mesenchymal bone marrow cells rejuvenates the host. In this experiment, University of Toronto scientist took one measly stem cell and reversed osteoporosis in a mouse. It turns out there are a many experiments using mice and doing what I have been suggesting would be the most important way to control aging and disease. To read more about the discovery of Brahma, the creator, read this blog. A central point of contention in comparing murine and human aging had always been the lack of telomere attrition in the former. Instead of deciding whether oxidative damage OR telomere erorion causes aging, why can’t it be both? The mice have poor ability to combat the former so unlike in humans, telomere erosion isn’t the major cause of their chromothirpas (chromosome chaos). In humans we have a rich ability to combat oxidative damage and we live a lot longer as a result. As I mentioned in the 2/3rds blog, perhaps our species longevity is actually attributable to cell aging. Instead of being thrown off the the trail by the differences, we should find the commonalities. Both models of aging, 1) oxidative damage in mice and 2) telomere shortening in humans, can cause chromosome disruption and bone marrow mesenchymal stem cell damage and depletion which is the final common pathway for aging. 4. FORTIFY – thaw and copy the best version stem cells and reintroduce them to recharge the marrow stores which are being depleted and filled with dysfunctional and aging versions. There are two other parts to autologous stem cell optimization that we will probably neglect. The first is storage in young adulthood- because we lack the foresight. The second is the gene and chromosome-level editing that could cause unforseen problems and would therefore open up scientists to be blamed. To learn more about mice and chromothirpas, watch this interview I did with Dr. Bill Andrews. In it, he explains that telomerase doesn’t cause cancer as so many of you might have heard. Did you enjoy this blog and video interview? If I have enriched your life, please answer my final appeal for contributions to send my son to Ecuador for a summer service project. Since the first two blogs about Ecuador, the Assange-friendly candidate won the election. Three separate CIA-related Vault7 dumps occurred, and the government has settled back into business as usual with the military attack on Syria. I have no skin in the game and only blog about what might be hidden to most folks, whether it be in aging, health, politics, or futurism. The fact that people have decried me as pro-Trump and anti-Trump hopefully means that I’m doing well to not offend but more importantly, that I am able to awaken some to the possibilities. 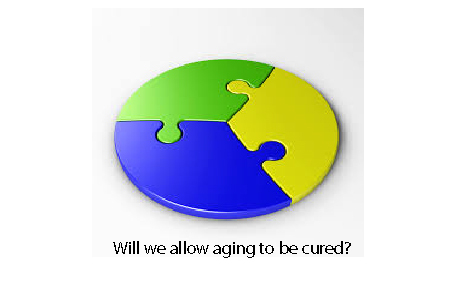 Aging has been cured; it is only an ethical and technical issue going forward. for us at what you think can be understood and what needs to be understood about our future potential. For many living right now is enough of a burden or a joy, depending on when you starting thinking about it. How many people really want to live longer? I don’t know. My husband and I have so many things we want to do. We are thrilled to make the investment in going forward. BUT, we started preparing for this time long before we even met, both of us were in our 30’s when we paid extra attention to keeping ourselves mentally and physically fit. We met in our 50’s. We are now thinking about our 50th anniversary and beyond. Keeping our telomeres lengthy is just one step. Your encouragement and relentless assurance about how to beat the typical aging issues is a bonus.